Eric Enge: Now that’s a big question! But, since the book is about SEO, and SEO is a part of digital marketing, I will answer with a digital marketing context. Today’s digital marketing environment provides more ways and opportunities to connect with customers than was ever possible before. 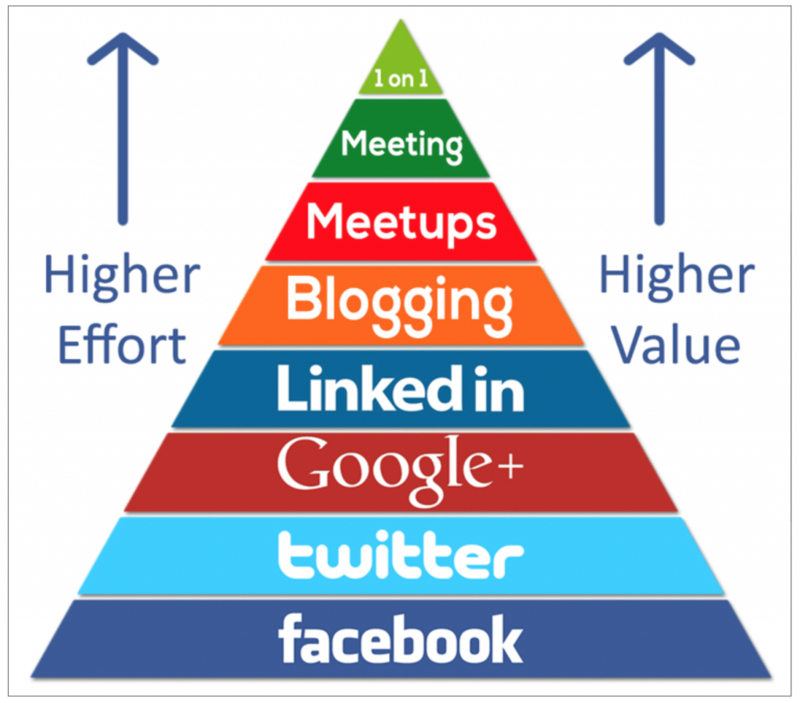 Some of these include SEO, social media sites (Facebook, Twitter, Google Plus, Instagram, Pinterest, and many more), digital media sites, etc. (collectively “channels”). Smart businesses will find ways to take advantage of those opportunities. Identify channels where you can win – this is probably not every available channel where your customers are. Most businesses, even very large ones, need to make some choices. It’s better to invest a large amount of effort in a small number of channels, than to dabble in many of them. Focus – that’s the first part of the advice. Now for the second. Differentiate is the second piece of advice I can offer. As you reach out into these channels you have the opportunity to show off your expertise with non-commercial content that helps you build your brand and reputation (this is what we call “content marketing”). But, just producing decent content is not enough, because you will get lost in the noise. Take the time to produce something that truly stands out. Better to do a small number of killer pieces of content than a large number of ho-hum pieces. These two components together will enable you to accomplish a lot! Of course, no marketing strategy ever comes with a guarantee, and you may need to experiment and fail once or twice before you get to where you want to go, but you can’t get there until you start! Stephan Spencer: Above all else my advice would be “understand your audience”. Whether it’s for SEO (which this book focuses on) or any other type of marketing whether it be email, social, content, podcasting, direct response, etc. you need to spend time understanding who they are, and just as importantly, who they are not. What motivates them? What are their fears and doubts? What problems can you solve for them and what are those solutions worth? Without that knowledge you are going to waste a lot of time and money. Figure it out the best you can first, and constantly improve your knowledge as you progress. Eric Enge: The original inspiration back in 2009 was that the industry did not have a comprehensive resource on the topic of SEO. The goal was to try and fill that gap. From my perspective, the inspiration is still the same today. The edition we have just released is the 3rd edition, and so much has changed since the 2nd edition (released in early 2012), and even more since the 1st edition. Getting it up to date just made sense! 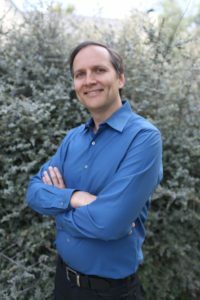 Stephan Spencer: I felt limited by only being able to teach people one-on-one as clients or in relatively small groups through workshops and conference sessions. 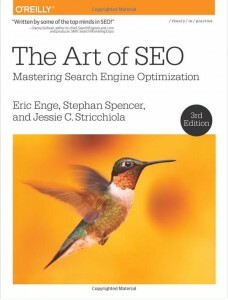 There are so many people I could benefit by disseminating my knowledge about SEO in book form that I felt compelled to do it. It’s a lot of work and the pay is lousy (probably minimum wage if you add it all up), yet the book can make a difference in a lot of people’s businesses and lives. Eric Enge: The original concept was one that Rand Fishkin and Stephan Spencer had on one hand, and Jessie Stricchiola separately on the other. O’Reilly put Rand, Stephan, and Jessie together. Then I was the 4th person brought into the overall project, but they asked me to take the lead in driving it. As I noted above, the idea was to provide a comprehensive resource that addresses nearly every conceivable aspect of SEO. Stephan Spencer: The title is a bit of a play on words. In one sense, it’s modeled after The Art of War by Sun Tzu which, like this book, is filled with strategies for overtaking your opponent ­– but in my case, the battlefield is the Google search results. In another sense the name helps to communicate that SEO is not just for geeks and is not merely a raft of technical guidelines to follow. SEO is indeed a very complex subject and to be effective, it requires a wide range of skills not only on the technical side of things, but it also requires a great deal of strategy, creativity, and innovation. SEO is both art and science. 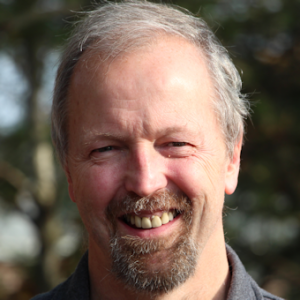 Eric Enge: My main hope is that readers get a full appreciation for what SEO is today. Ideally, that’s a sense that it’s a profession that is fully integrated into an overall company, not something that sits in a silo on its own somewhere. It should be heavily integrated with marketing as its main purpose is to help bring new leads or customers to the web site for your business. In addition, it must be closely integrated with development, as there remain many site structural and design implications to SEO as well. Stephan Spencer: We’d like them to be confident in practicing SEO or at least knowing enough to understand it. Again, it’s a very complex subject and can vary so much in its applications from business to business. Whether the reader is a newbie SEO looking to expand his/her skills or an entrepreneur looking to grow his/her business, we want them to feel confident that they are doing all they can. Even if they are not in the trenches doing the SEO themselves, we want them to be knowledgeable enough to know what questions to ask, and how to hire the right people to help them. Eric Enge: In one word: Leader. That’s my main job at Stone Temple Consulting (STC). I am blessed to have a fantastic team here, and they are taking the company to amazing new heights. I have my job, my role, which is to help set the direction. Together, we are doing great things, and growing a business. Eric Enge: Nowadays, I really don’t get to read that much other than what I see online (where I read a lot), but one book that influenced me when I was younger was Ayn Rand’s Atlas Shrugged. It’s about a society that turns towards equal distribution of all wealth, and what happens when the over-achievers basically all go on strike because they are doing all the work and others who do little are enjoying equal benefits, and the society collapses. There’s actually potentially a very dangerous message if one takes the concept too far, as we do have very serious income disparity issues on our dear planet Earth. But the positive spin on the lessons from the book is that those who work extra hard and contribute more should be rewarded. I strongly believe that, and have tried to teach that to my children, and do that for the people that work at STC. Stephan Spencer: Getting Things Done: The Art of Stress-Free Productivity: This book made my life easier, more productive, and more directed. Adopting and adapting the concepts in this book allowed me to step back from the day-to-day grind to instead working ON my business and not as much IN my business. I have also incorporated many of the ideas in the book into my personal life, making me happier and more purpose-driven. The Game: Penetrating the Secret Society of Pickup Artists: This book is secretly a business book masquerading as a dating book. It’s about influence, negotiation, building desire (for your product), and effective communication. Just the NLP (Neural Linguistic Programming) techniques alone that you’ll glean from the book make it worth the read. For me, The Game gave me a blueprint for relating to people and to showing up more powerfully in social situations. Eric Enge: I got off to a very slow start in college. I just was not ready. I had to leave school for a while and go work. Fortunately, I got a job paying me $3.25 an hour (that was above minimum wage at the time), and the work was brutally difficult. But I did it. Then after about a year of that, I figured out that I ought to be able to do more with my life than that. I went back to school, finished an EE degree, and was able to get much better jobs after that. It’s one of the big reasons why I am so passionate about helping young people who are in their teens or early twenties connect with their responsibilities and future in a meaningful way. My start was a little bit rough, but I was very fortunate and able to land in a good spot. Stephan Spencer: After my divorce in 2009 I was faced with a choice of reinventing myself or staying depressed. Thankfully I chose the former. I transformed my body, my mind, my spirit – everything! In fact, I am literally unrecognizable from the man I was in 2009. I remember vividly showing up at a conference in 2010 and nobody recognized me! Now I have the relationship of my dreams, the freedom to travel the world, a business that excites me, and so much more. Eric Enge: I used to be a ranked professional foosball player. I did it part time, while I held a full time job, but I’d travel around the country to play in foosball tournaments. In 1984, I won the world title in one event, known as goalie war, and then I won the national title in that same event in 1985. It was great fun, and I still have a table in my basement (and yes, it’s a Tornado table, the current tour table), but I don’t play much anymore. Too busy with other things I guess! Stephan Spencer: I taught myself computer programming as a kid. Not just BASIC, but assembly language and even machine language! I was an uber-nerd. I’d stay up all night in the summers and write computer code. I even coded a BBS (Bulletin Board System) from scratch and ran it on our one and only home phone line. It really ticked off my mother when she’d pick up the phone and she’d hear a modem instead of a dial tone. She’d yell up the stairs at me and I’d have to immediately disconnect the caller so she could use the phone. Thus, my BBS was named “Fly by Night BBS” because you’d never know if you could get through to it and if you would stay connected for a whole session. Eric Enge: The first data-driven study that we published compared Siri vs. the Google App vs. Cortana, and it was our first piece of content that went truly viral. It was pretty exciting! You can see it here: https://www.stonetemple.com/great-knowledge-box-showdown/. We still get media people calling us about it today. We just did a follow-on test at the request of <re/code> http://recode.net/2015/09/20/how-intelligent-is-siri-we-put-her-through-a-few-tests/, so the impact of that initial piece is still being felt by our business. Stephan Spencer: One campaign that I am quite proud of was for a client OvernightPrints.com. It was the “Win Free Business Cards for Life” contest and leveraged the online celebrity Jeremy Schoemaker (a.k.a. “Shoemoney”). Jeremy even wrote about the campaign in the Foreword to my book Social eCommerce. It got my client onto position #2 for “business cards” in Google – from nowhere! Eric Enge: I think this is a very exciting time to be involved in marketing. There are so many opportunities to excel out there. For example, I know that many marketers are concerned that content marketing is becoming saturated. I wrote about this recently here: https://moz.com/blog/how-to-thrive-during-content-shock. The main point I try to get across in that article is that we are far from being in a world that has too much content for you to succeed, because most of the content is bad, poor, or fair. If you are able to create awesome, high quality content you will be fine. The problem is not too much quality content, it’s that we don’t have enough high quality content.